This book is for the parents of hyperactive children, as well as for anyone who is in contact with and must manage such children, including teachers and child-care professionals. It is estimated today that between three and five per cent of school-age children are hyperactive, though the figures vary in different countries and studies. Attention-span disorders have become the most frequent reason for medical consultation. (The scientific term for hyperactivity is Attention Deficit/Hyperactivity Disorder, or AD/HD). 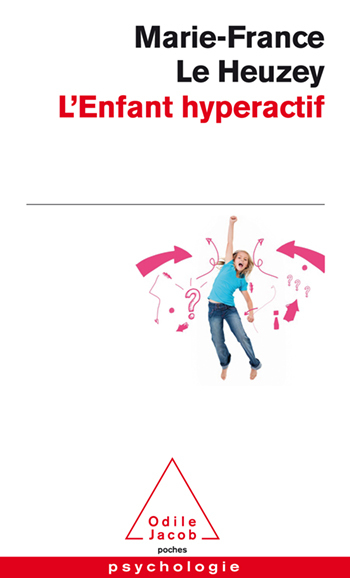  Determining if a child is hyperactive.  What becomes of hyperactive children?  How should AD/HD be treated? With its numerous case studies, pertinent advice and accessible scientific explanations, this book is bound to become the basic reference work on AD/HD for the general reader. Marie-France Le Heuzey is a medical psychiatrist. She is in charge of consulting on hyperactivity in the Child and Adolescent Psychopathology ward at Hôpital Robert-Debré, in Paris. She is the co-author of a book on hyperactivity from childhood to adulthood, and the editor of a monograph on hyperactivity published by the Revue du Practicien. She is currently participating, in her capacity as a specialist, in a European study on the treatment of hyperactivity.